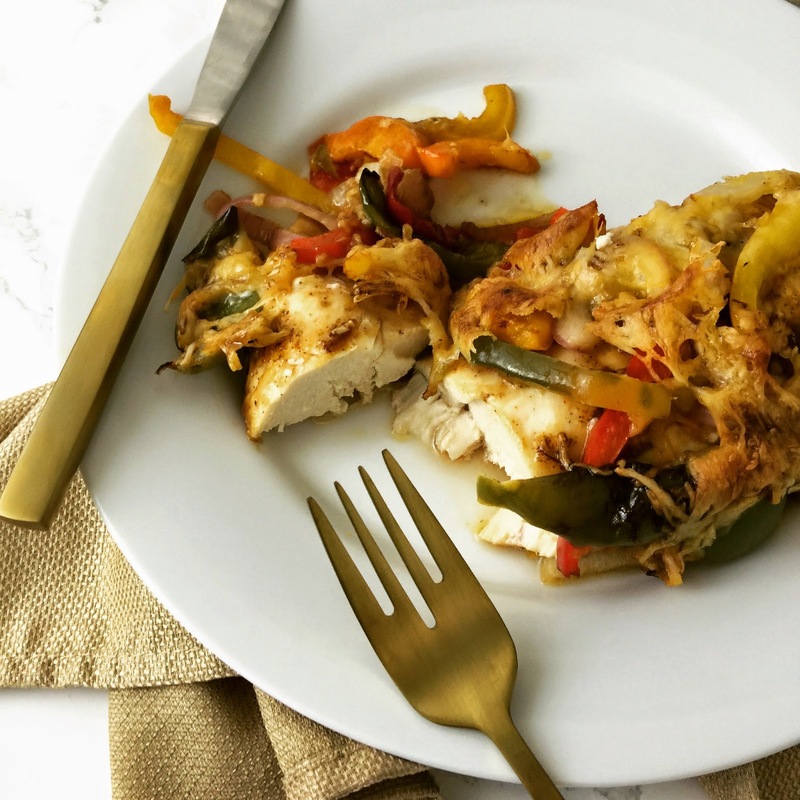 Lisa loves John: Dinner for two: Chicken Fajita Bake! 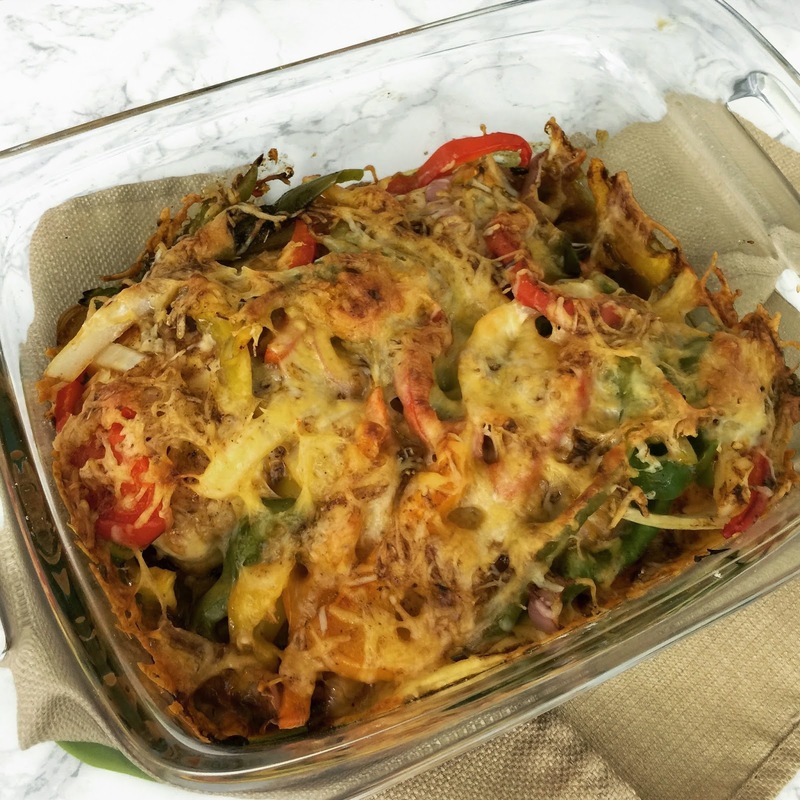 How funny - i did an enchilada bake on my blog today! 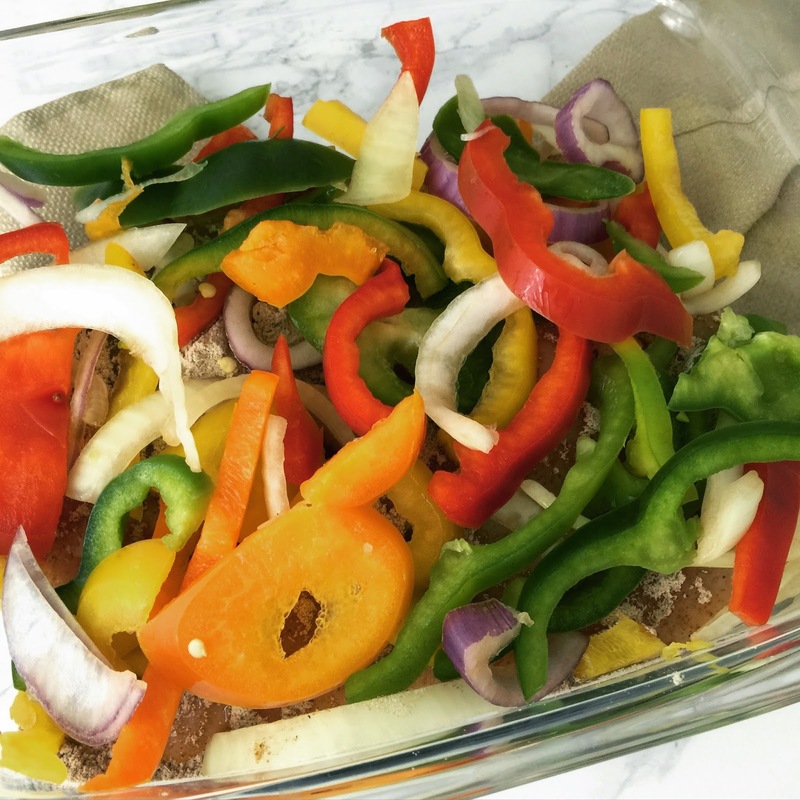 I love the look of this - really simple and tasty - now if only I could get my beloved to eat peppers! This sounds so yummy and easy! 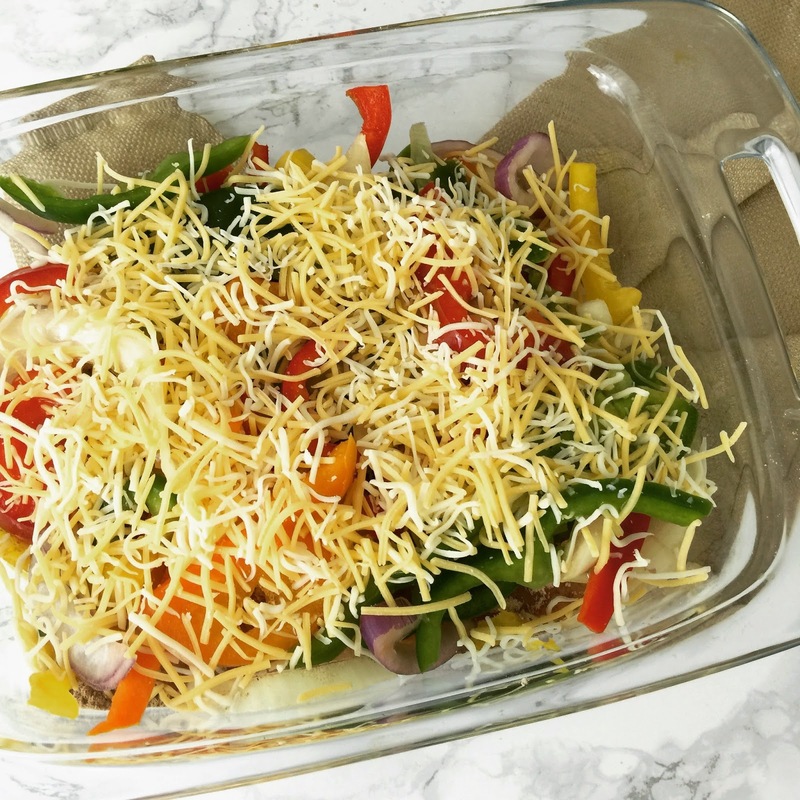 I love meals that you can throw together in one pot and do other things while it's cooking! This is my kind of dinner!! YUM! Can't wait to give it a try! 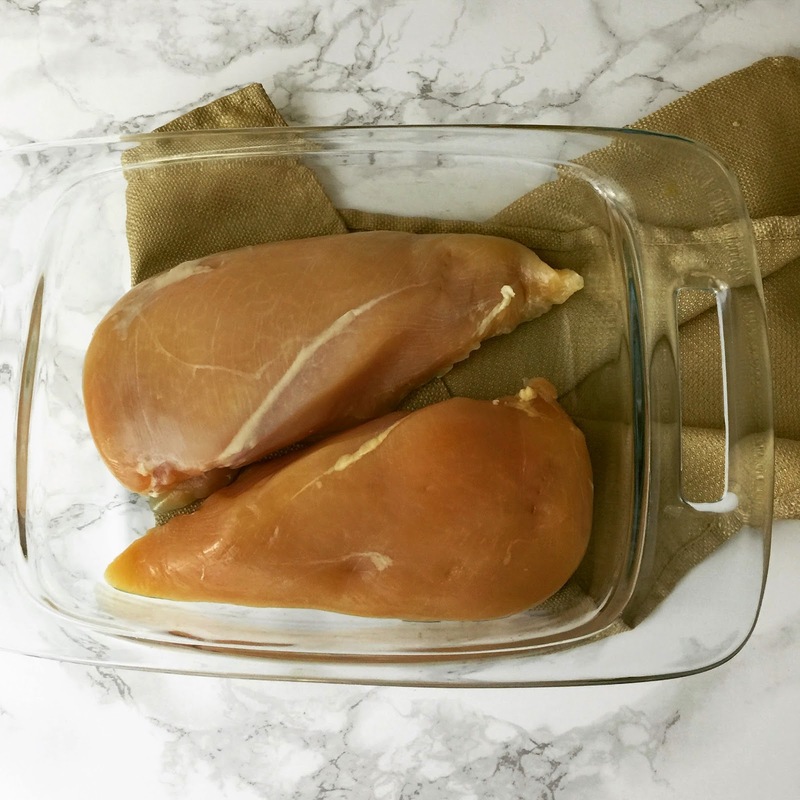 This looks so good- I'm always looking for new ways to bake chicken and this one definitely would not be lacking flavor! That sounds super easy. I have so fallen off the band wagon with cooking and meal planning, I wish that I was doing better!! Way to go! Yes, I am making this over the weekend, thank you!!!! This looks perfect! Anything mexican like always wins and we're always looking for something that doesn't leave too many left overs! Oooh yum, this looks amazing!! Definitely the perfect weeknight meal! This looks really good! My husband loves cooking chicken! Looks delicious! I will definitely make this with the addition of onions! Oh wow this looks delicious!!! And perfect for 2 people! THANK YOU for these step-by-step instructions with pictures. I hate those recipes that are all words with only a picture of the final dish. I need to know if I'm doing it right the whole time! This recipe sounds (and looks!) 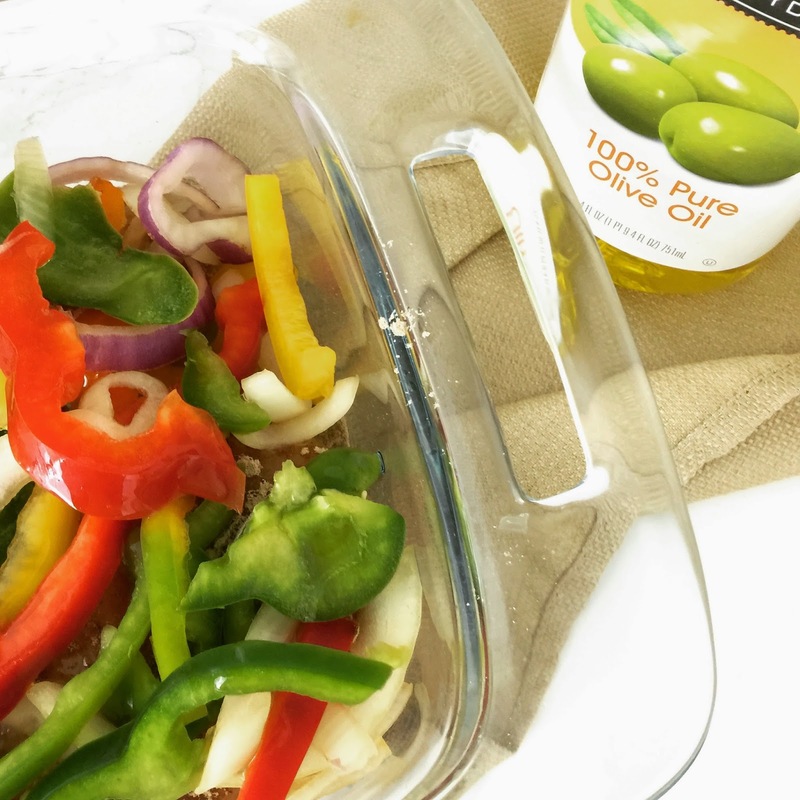 so simple and yum! Those are some mighty large chicken breasts! Haha This sounds so delicious and definitely something we would all eat!! Thanks for sharing!!! P.S. Please tell me that's a new baking dish...or tell me your secret for keeping it so clean!!! 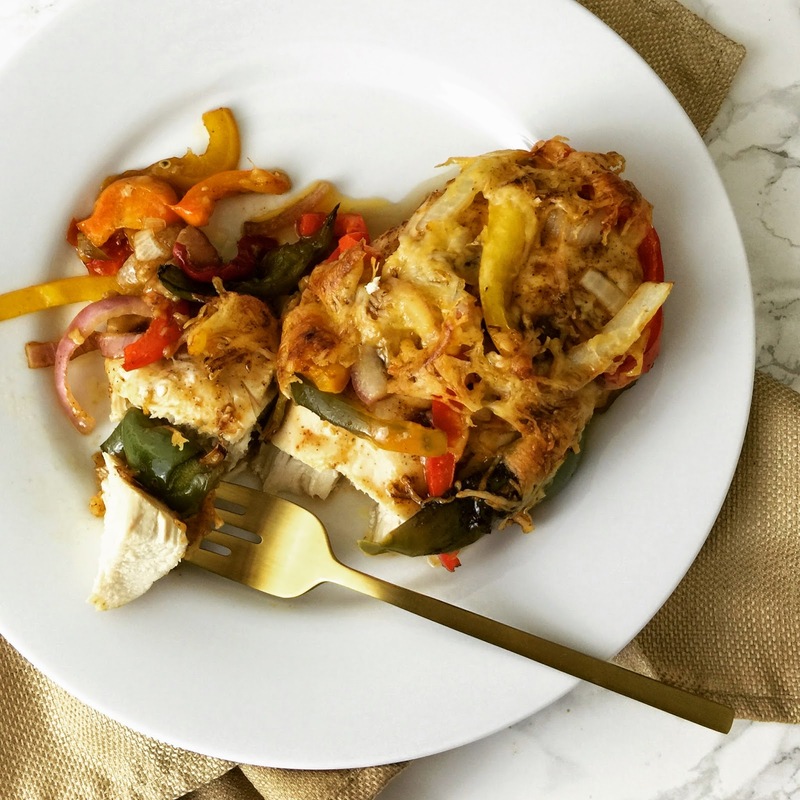 This looks totally yummy...a great weeknight meal! Thanks for sharing! Wow this looks tasty!! Adding to my to-make list!! This recipe looks delicious! Thanks for sharing another great dinner option. 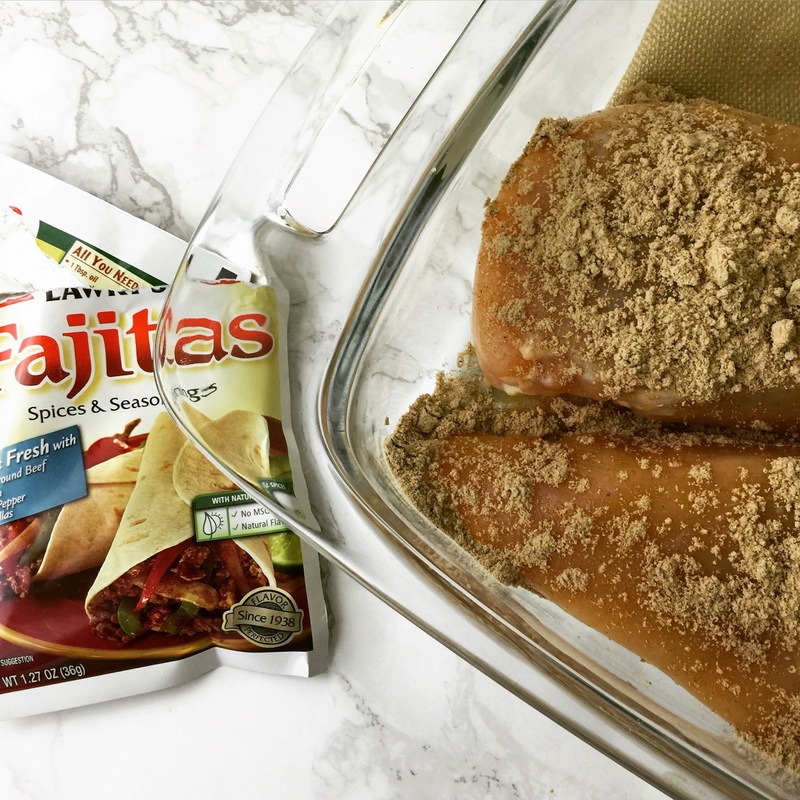 I've made fajita bakes before and they always turn out delicious! Love this version -- making it soon!